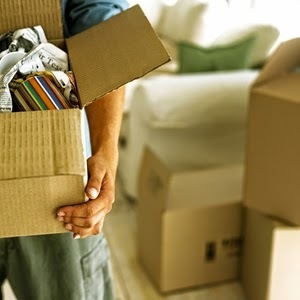 Professional House Cleaning Tips: How to prepare for the moving day? Call your renting agency or contact directly the landlord to settle the exact date. It is not a good idea for the moving to be arranged for “in a couple of days”, “in the mid of the next month” and etc. You have plenty of things to do, so every single free day is a gift. Contact your local removal services and provide yourself professional assistance for the details. They will offer you a good pack of packing supplies, man with a van, transportation and the best route for reaching your new home place. If your current residence is also on rent, call the end of tenancy cleaners, too. Don’t leave your present house with argues with the landlord or with damages you will have to pay later. Settle your accounts with the electricity, internet, hot and cold water providers. Also, inform them about your moving and get information if you can continue being their client, but with a different address. Pack smartly! Categorise your stuff and use experts, if you need reassembly or disjointing of heavy equipment or furniture. Just because you have a new place for living, it doesn’t mean you have to buy new household items if you ruin your current ones. Don’t carry with your things you will not need in your new home place. If the rug in the living room is as dirty as hell, try with steam carpet cleaning. Repair things, but if you cannot restore them, simply recycle them.